Distracted driving is becoming more and more responsible for accidents while producing disastrous consequences. Specifically, truck drivers are more susceptible to texting and driving behind the wheel, falling asleep, getting distracted by radio or television and much more. According to TruckingTruth.com, it is estimated that a dialing or texting driver takes his eyes off the road for 3.8 to 4.6 seconds at a time. During that time a truck traveling at 55 mph will go the length of a football field (300 feet). Truck drivers can stay safe from distracted driving by pulling off the road, avoiding texting and driving, being prepared before getting behind the wheel and properly securing every item in the cab. 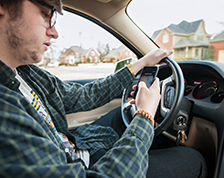 Smartphones are one of the largest contributors to distracted driving, but there are many other factors that can pull a driver’s attention away from the road. When spending up to 11 hours a day on a highway that seems to go on forever, the dullness can lend itself to any distractions. Truck drivers must maintain focus always, and even the slightest, momentary lapse in attentiveness, judgment, or performance can lead to disaster. To keep all drivers on the road safe, follow the above tips but also make sure you’re insured for any potential accident that may occur by contacting your Independent Agent. 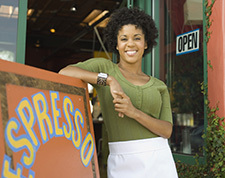 Financial and insurance tips for new small business owners. 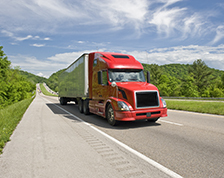 By establishing an OSHA recommended commercial motor vehicle (CMV) safety program, employers are better able to protect company resources, prevent injuries and reduce liability risks. Find out what OSHA says are the 10 must-haves for your program.